Nothing is impossible in dreams and in love. Tom and Natasha’s wedding is a perfect example for this. Two different countries, two different religions, two different wedding styles- PoonamMayankSharma helped this couple bring their almost dream like idea into fruition. 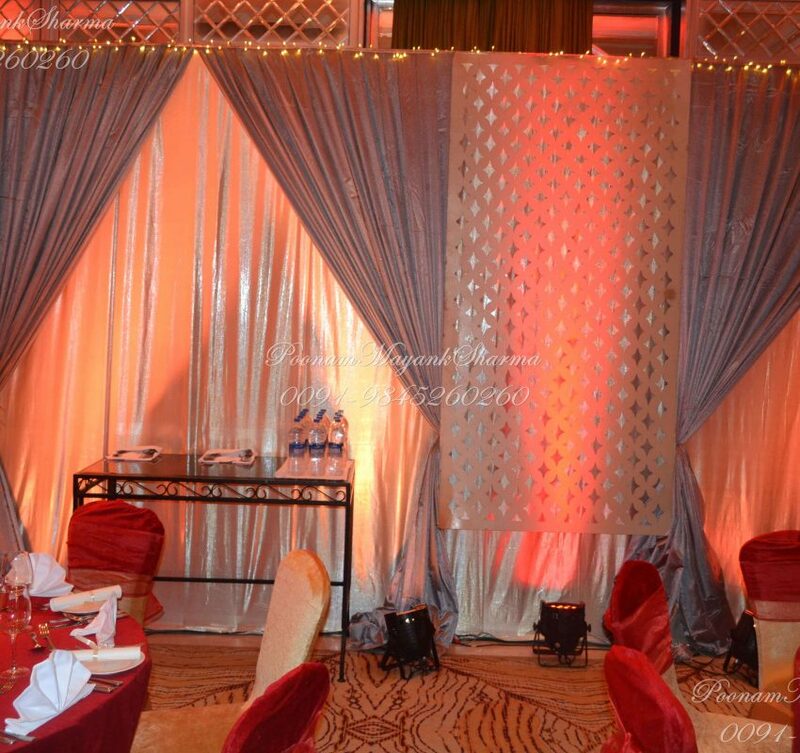 It was a pleasure to be a part of this rare yet beautiful event where both Groom and Bride wanted the wedding in Muslim as well as Christian traditions. 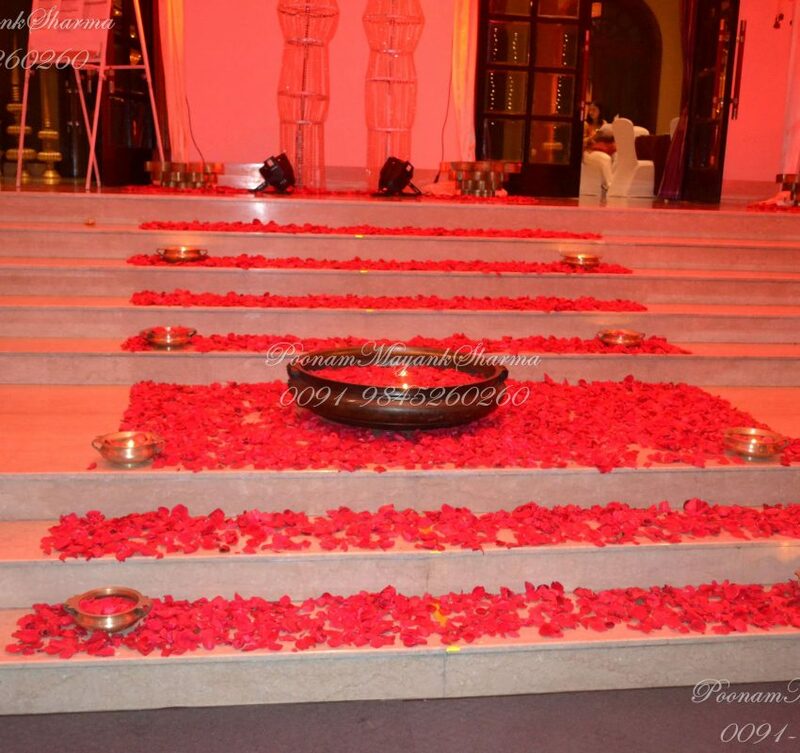 Beautiful Prince of Wales lawns of Taj Westend was selected as the venue to carry out these memorable processions. The morning wedding was carried out elaborately first in Muslim style where the groom entered on a horse and the bride was given away by her father. 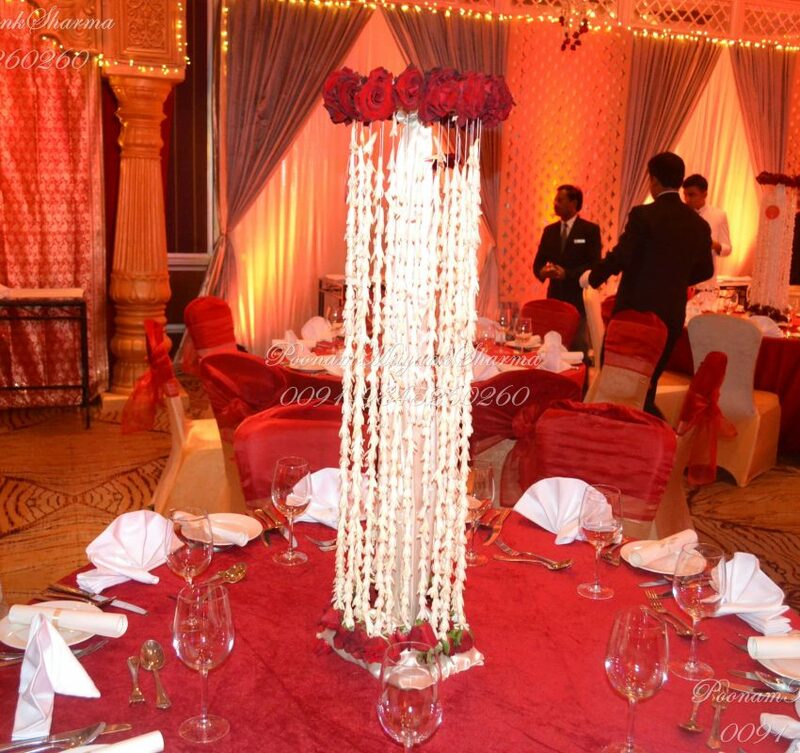 An intricate circular Flower Mandap with orchids was designed for the Nikah. The Christian rituals followed the Muslim wedding. The flower pathway designed straight out of a dreamland created the drama before they said ‘I Do’ to each other. 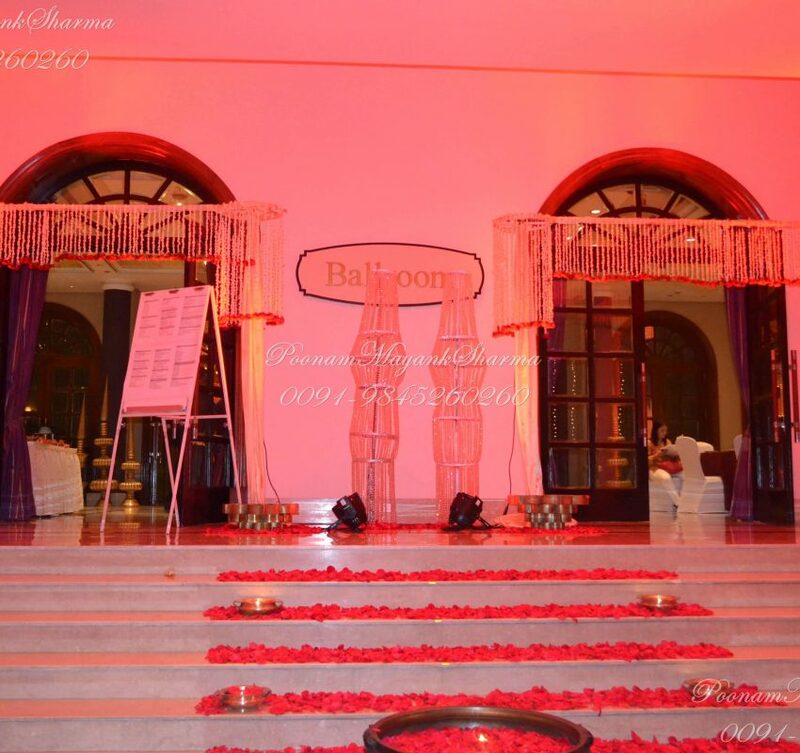 The whole event was colored in White and Violet color pallet. Even the bride was dressed in a beautiful Violet Lehanga with a White Veil. 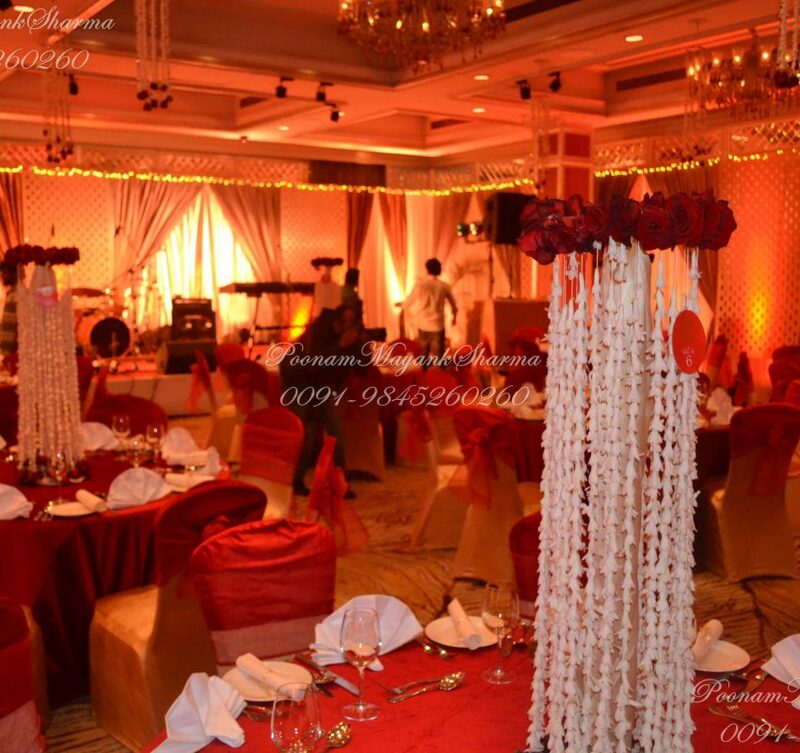 The traditional wedding was followed by a characteristic Reception at Ballroom of Taj Westend. 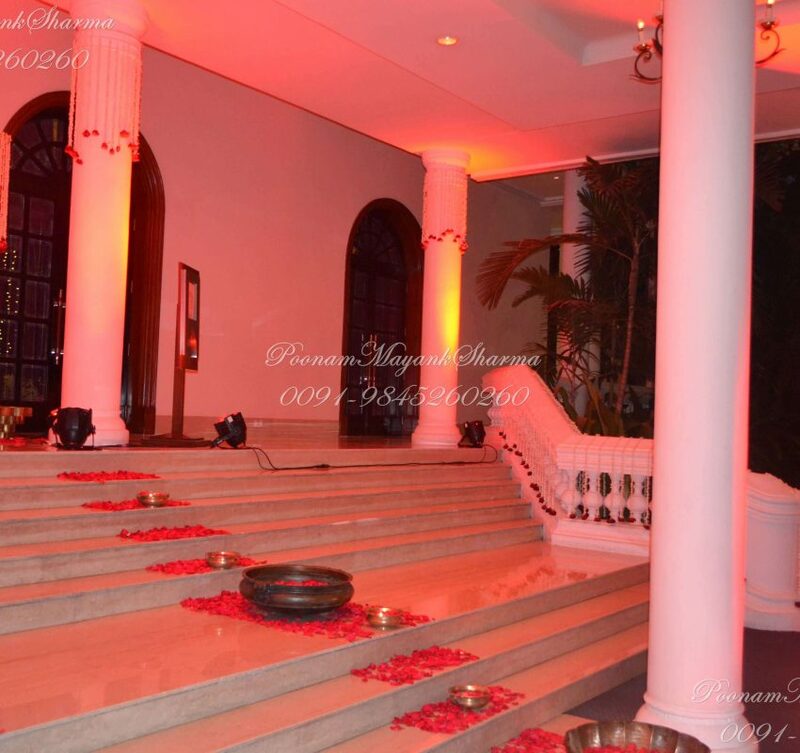 The whole decor was focused around Traditional Nizami theme. 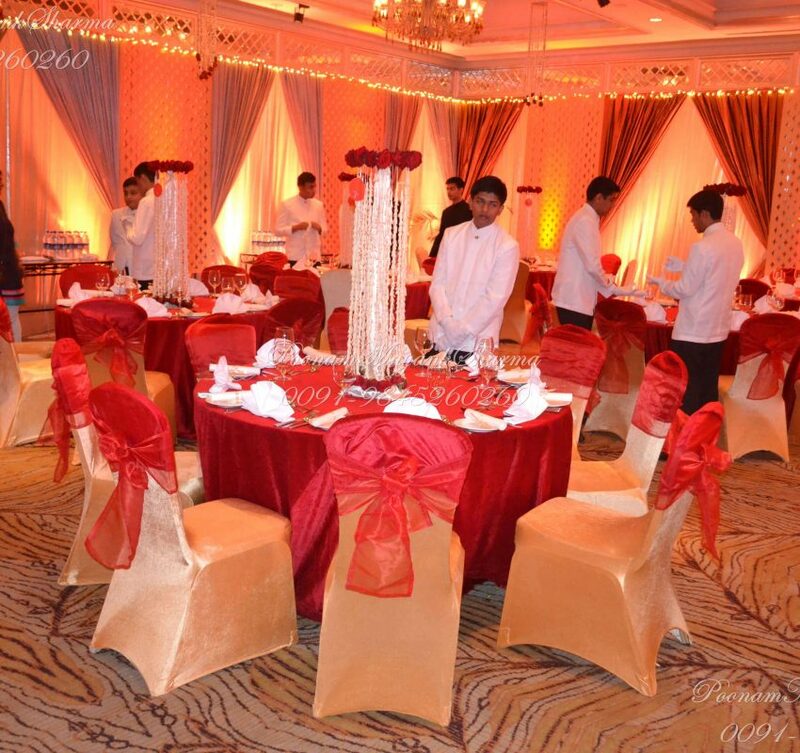 The couple and the Guests planned their outfit and were dressed in White and Crimson. The guests who flew from US, UK and other parts of the world got truly immersed in the Indian culture and what came out was a beautiful Fusion wedding of Tom and Natasha.